ATMORE, Ala. -- Lawyers for an Alabama inmate who was put to death Thursday night say movements he made demonstrate that he wasn’t anesthetized during the execution. In a consciousness test, a prison officer says the inmate’s name, brushes his eyelashes and then pinches his left arm. During the first one, Smith moved his arm. He slightly raised his right arm again after the second consciousness test. One of Smith’s attorneys whispered to another attorney, “He’s reacting,” and pointed out the inmate’s repeated movements. Smith was finally pronounced dead at 11:05 p.m. Thursday -- about 30 minutes after the procedure began at the state prison in southwest Alabama. Smith’s lawyers said in an email Friday that they believe two doses of midazolam were administered to sedate him. The Department of Corrections won’t say whether a second dose was given. Critics of the lethal injection drug, which has been used in problematic executions in several states, say Thursday’s execution in Alabama provides more evidence that it shouldn’t be used to put inmates to death. Robert Dunham, executive director of the Death Penalty Information Center, said medical experts have repeatedly said midazolam is not designed to render a person unconscious and insensate, and witness accounts of Smith’s execution indicate that it did not. 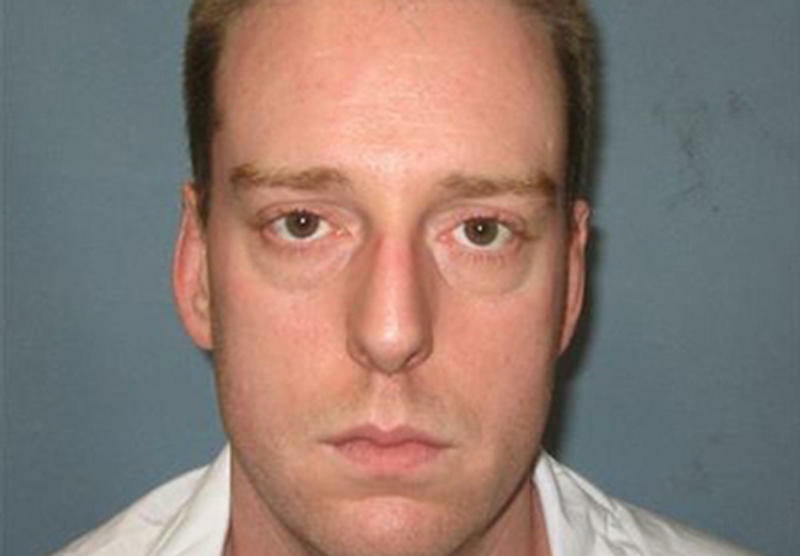 U.S. Supreme Court justices twice paused the execution as Smith’s attorneys argued for a delay, saying a judge shouldn’t have been able to impose the death penalty when a jury recommended he receive life imprisonment.